MANCHESTER UNITED could turn attention away from Chelsea star Willian and land Real Madrid's Gareth Bale instead. Both Willian and Bale have been linked with switches to Old Trafford this summer. And the latest on the two potential deals has now been revealed by journalist Duncan Castles on the latest episode of the Transfer Window Podcast. He said: "There's a potential for Manchester United to come back in there. But the price is high. "They've been looking at other targets. Obviously Gareth Bale is a strong possibility for them because of the situation is at Real Madrid. 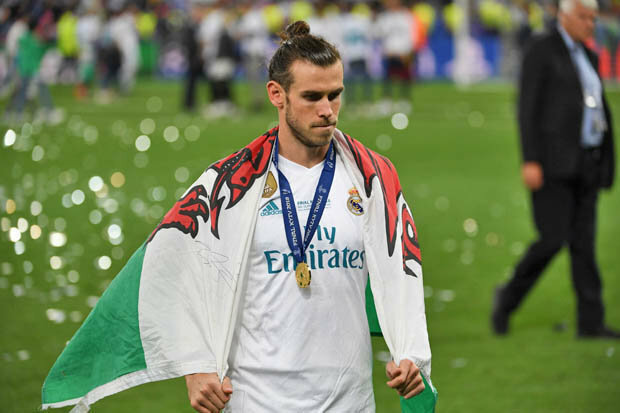 "They have to wait and see what Bale's ultimate decision will be in terms of is he going to get game time under the new manager and will that satisfy his complaints with Madrid. "From Chelsea's perspective, a sale outside of the Premier League would be far more preferable." Castles added: "He (Mourinho) tried to sign Willian last summer and would have taken him if it had been possible to get him out of Chelsea. "The problem was unlike Nemanja Matic, who was prepared to do what was required to get himself out of the club, Willian wasn't going to go down that route." Barcelona are also said to be after Willian to bolster the attacking ranks at the Nou Camp after their failed pursuit of Atletico Madrid and France star Antoine Griezmann.